Part of my daily routine in the 1960s and early ‘70s was tearing into the newspaper comic section. Well actually, Dad was always the first to touch the Bridgeport Post. Then I got to look at the funnies. Beetle Bailey, Henry, Nancy, Prince Valiant, They’ll Do It Every Time, and a dozen others.  What I didn’t know until just recently was that many of those cartoonists lived and worked in Fairfield County, Connecticut. Author Cullen Murphy grew up in that tight-knit community. His father, John Cullen Murphy, drew the popular comic strips, Prince Valiant and Big Ben Bolt. 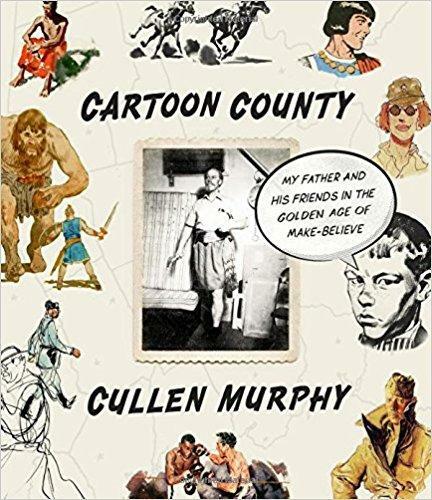 In his latest book, Cartoon County: My Father and His Friends in the Golden Age of Make-Believe, Cullen recalls the unusual circle of friends that his family was a part of and their work world of make believe that were strands in the fabric of daily American life for decades. Cullen recently sat down me to talk about the book. Below is a transcript of the conversation. How did Fairfield County become the home of what you describe as a “subculture” of cartoonists? It was a relatively quick process. A lot of the cartoonists that you’ve been referencing served in the war. They were based around New York City. Most of the syndicates were based in New York City, most of the big newspaper offices, the magazines. So they had to be close to New York City. They were just starting families and they were looking for a place where they could live and Fairfield County at that time was relatively cheap. A far cry from what it’s like now. Connecticut did not have an income tax. That was a big plus. So over a period of 10 or 15 years, starting around 1945, you had as many as 100 or more cartoonists pioneering in what looked like fresh territory in Fairfield County. You refer to this time and place as "the Golden Age of Make-Believe.” What made it so? In the period after World War II, there was a great surge in newspaper publishing. So you had a lot of new cartoon strips starting up like Beetle Bailey, Peanuts. There’s this fresh and aggressive push into comic strips. Lots of people getting into the business. Extraordinary readership. It was a golden age for newspapers and partly, as a result, for comic strips also. How did growing up in this very creative community differ from the traditional image we have of suburban life at that time? Were you aware that it was at least unusual, if not unique? You know, at first I wasn’t. Probably the first thing that came to mind was that my dad worked at home. And so did the fathers, and it was almost all fathers in this business, of other kids who were in comic strip families. So that was a big deal right there, to have your father always home. Another thing was, your father had a studio. Whether it was in the house or out in back in a separate building and studios were magical places. There was the smell of ink and paint. And there were costumes that the cartoonist often dressed up in and took pictures of themselves wearing to help them with the composition of the strips. And your dad was around to teach you how to draw, for instance. For so many other kids in the neighborhood, their fathers were going off on the train in suits with briefcases to New York City and that seemed such an odd way of earning a living to me. And it was only like the living earned by 95 percent of the white collar workforce. What was it like working with your dad? You describe starting, I think, at the age of 6 taking photos of him from a new Polaroid camera. Was it fun working with your dad? Yes the words “new Polaroid camera” really come across odd don’t they? He bought one I think in 1949. He would dress up, sometimes even as a woman and he would do whatever he needed to do to get the shot for whatever he was going to draw. You know, somebody falling off a horse, somebody shooting a gun, somebody dancing. He would compose these shots himself and then I would, after school, come by and use the Polaroid and take pictures of him. We have literally thousands of these photographs spanning a period of 55 years. It’s one of the most preposterous collections of photographs in existence. What really sticks in my mind about the comics of those days is specifically one of the comics your dad worked on for a long time, Prince Valiant. I would look at that as much for the artwork as the storyline. It was just really looking at works of art as opposed to comic strips. In the Golden Age there were a number of great strips that were done with real illustrative quality. But one of the things that set Prince Valiant apart was that it was almost always published on a full broadsheet newspaper page. So you might be flipping through 16 pages of comics and there might be three or four different strips in each page. And then suddenly on the back page you would come across Prince Valiant. And that’s all there was. And the artwork really followed the tradition of people like Norman Rockwell and Howard Pyle and J.C. Leyendecker. And that Golden Age, indeed as you described, has passed. As has the Fairfield County enclave of people who created much of it. What is their legacy? Is there a connection between that age, those cartoonists and today’s comics? I think there’s very much a connection. First of all, the comic strip world is not entirely vanished. Many strips are going strong. You still have Sunday funny pages. They’re still popular. And many of the people working as cartoonists today, look back on the people of the '50s and '60s and '70s as the masters they themselves were inspired by. Beyond that there’s the emergence of graphic novels. You know anybody who goes to a bookstore these days, you can’t help but notice shelf after shelf of these beautifully drawn and beautifully written graphic novels. And I think they are really the successor to the comic strips that I knew. They’re different, they’re edgier, they can say many things that comics never could. But they are playing with the same one-two punch of text and picture, which is so effective. And I’m quite sure that we are embarking on a third golden age of comic art.